Virat Kohli believes India's day-five fight in the fifth Test against England epitomised a series that has been a great advert for the format. The tourists looked down and out heading into the final day of the five-match series, but KL Rahul and Rishabh Pant combined for a 204-run sixth wicket stand to have England worried for a time. 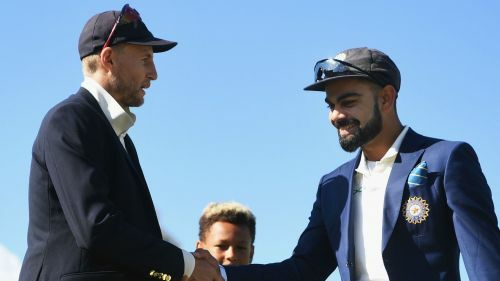 And although the home side saw out victory by 118 runs at the Oval, winning the series 4-1, Kohli felt both sides - and particularly Rahul and Pant - showed the merits of Test cricket. "I think a lot of credit has to go to both of those young guys, stepping up at such a difficult stage," the India captain told the post-match presentation. "I think the way KL and Rishabh batted showed the spirit we have in this team and the kind of cricket we've played in this series. It might not show on the scoreline, but both sides know that it's been a competitive series. "It's something we've really enjoyed. We've taken the challenge head on and today was an example of two guys not giving up and actually entertaining the crowd. "This is the revival of Test cricket, showing what it means to all of us and the people watching. It's a great advertisement for Test cricket." While Kohli conceded that England deserved the series win, he claimed the lopsided nature of the scoreline was due to India's ambition. "We have no regrets with the way we played in the series," he added. "Obviously, when both teams are going for wins, you're going to have a result that looks like that. "England are a competitive side as well - they don't go for draws. They play fearless and we decided to play fearless as well. "You're going to have competitive games but the better team will win. We will hardly have draws in this kind of intense series and that's exactly what the scoreline shows. "I'm not saying it's not a fair scoreline - they played better than us and deserved to win - but it does not mean that we've been outplayed in every game. "Apart from Lord's, we've been competitive in every game - and the people watching know that as well. We can take a lot of heart from that but, at the same time, we need to learn from the things we didn't do right and apply it the next time we step onto the field to play Test cricket."